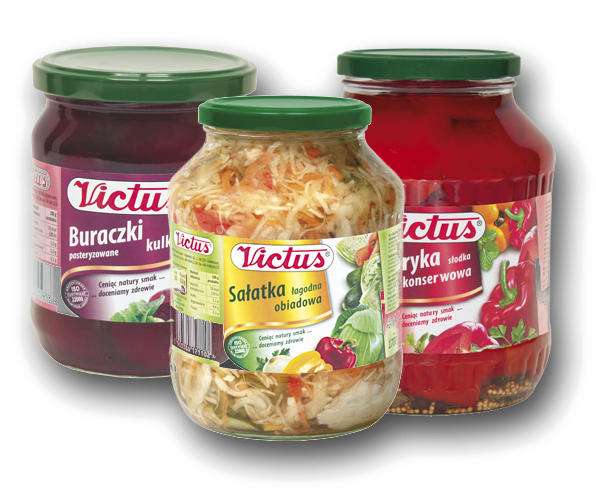 Victus offers a wide range of fruit and vegetable processing products produced from the highest quality products from ecological areas of Poland. In the production process we use the latest technology of fruit and vegetable rolls using modern production lines. Throughout the production process, the subsequent stages are subject to strict quality controls. "VICTUS" Mielczarek i Kowalska Spółka Jawna in Działoszyno started its activity in 1991. based solely on Polish capital. In subsequent years, from year to year, we have expanded our production offer by supplying products of the highest quality to our customers in Poland and abroad. 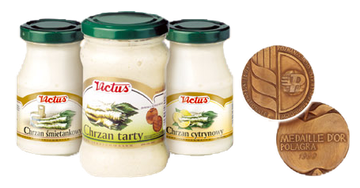 We are proud of Victus brand is recognizable on the market and daily guests of Polish tables. Our aspirations were honored with a gold medal at POLAGRA, the VIII Fair of the "Polish Future Product" and the 5th edition of the "Polish Food Producer" competition. The awards and honors are important to us, but the opinions of our consumers are the most important. It is thanks to them and for them we refine our products every day and extend our offer.